Like you, I subscribe to a lot of people's lists either by grabbing a freebie or buying a product. So I get to see a lot of back end funnels. Things that, if put right, would massively increase their profits from their funnels. And these are NOT just newbie mistakes either. Last week, I grabbed a product off a guy who had made millions online in the last few years and even he broke one of these golden rules. 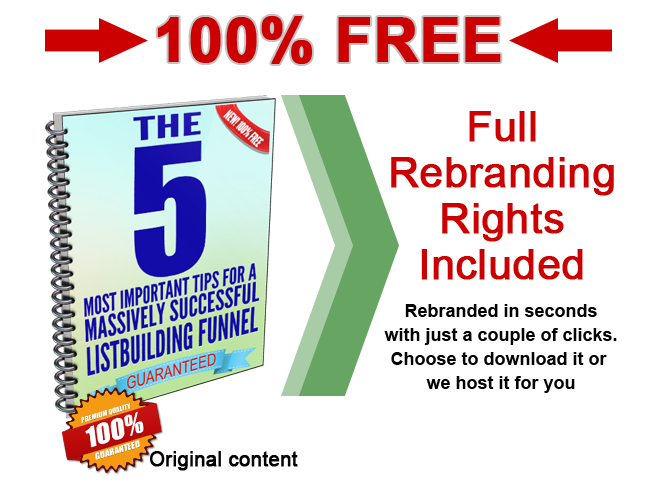 Then I thought that, as the report is related to listbuilding, I could throw in rebranding rights so you can use it to build your lists with too. "Cool. But is it difficult to rebrand?" Nope...it's as easy as pie, there are just two things you need to paste into a form & one button to click to rebrand your report. When you click the button, you will be taken through a "checkout" page - but DON'T PANIC! 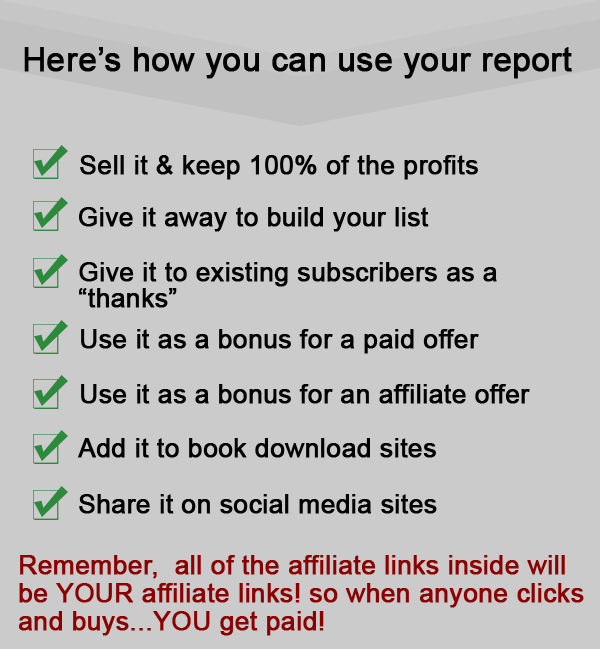 you don't need to pay anything.. the report & rebranding is 100% free. You will be shown a couple of my offers (hey, I have to put some bread on the table, lol) and you will see that they are fantastic value but you do not need to get them in order to get the freebie...NO bait & switch here! Ok. That's all. I am not going to waste your time writing yards of sales copy. It's free. Grab it while it's here. Enough said. All I ask in return is that you actually use it to further your online business. Will I be put onto you email list? Just sent this to my list - a great quality report, AND rebranded, AND free.... what's not to like? Another Quality product from you. I will certainly put this to use. Thank you very much Barry! For your wonderful and valuable gift..really appreciate it!